This is the blog of New York writer and performer Andy Ross. Originally from Wisconsin, Andy Ross started his comedy career in Chicago, where he performed stand-up and graduated from the Writing Program at the Second City. In New York, Andy has contributed to The Onion News Network, Comedy Central's Indecision Forever blog, and MAD Magazine. He put up his one man show, Melancomedy, at the Peoples Improv Theater in NYC and The Annoyance Theatre in Chicago. You can see a clip here. 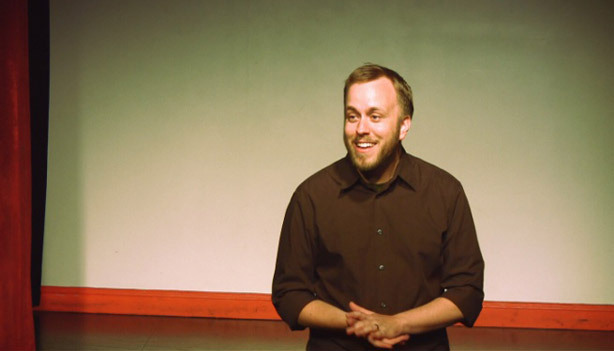 As a storyteller, Andy has performed at shows all over the city including TOLD, The Liar Show, and the Moth GrandSLAM. He runs a monthly storytelling show called Real Characters that mixes true stories with character monolgues. Go here for details and a schedule. Learn more about him and check for news updates about his performances here.